bike lock, and a helmet. 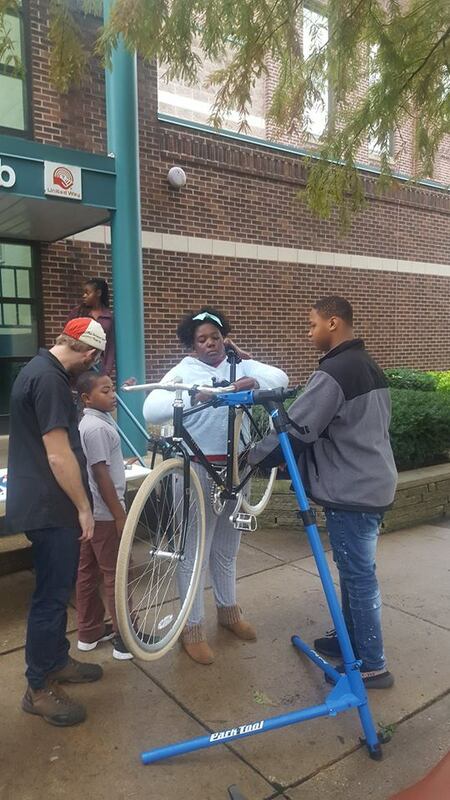 On November 2nd a bicycle maintenance workshop was conducted with students at the Don Moyer Boys & Girls Club with Neutral Cycle. Two mechanics from Neutral Cycle brought bike stands and tools to assist students in doing basic repairs to bicycles. 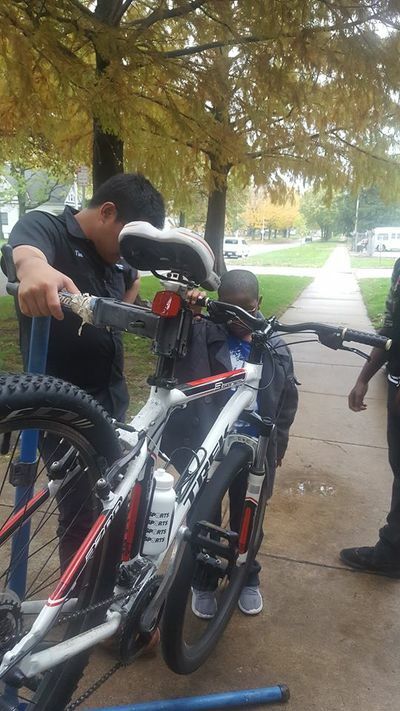 Some students from the summer Let’s Get Rolling program attended, one with his bike that had a broken seat. Altogether about 6 students participated. 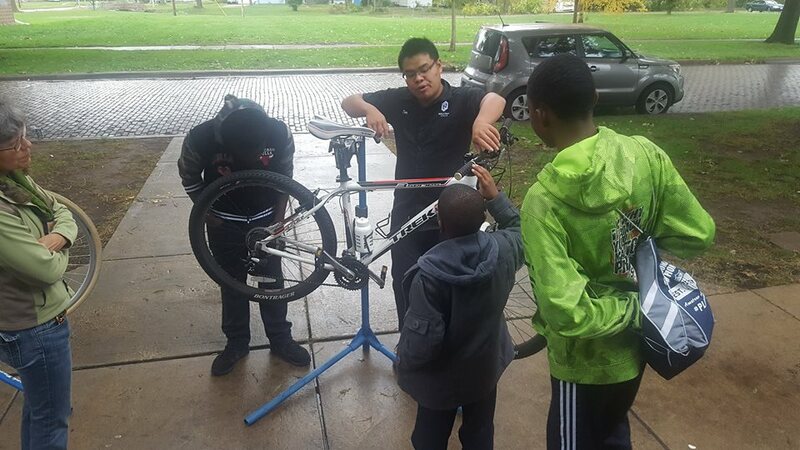 Every student had time to do hands-on tasks such as airing up tires, lubing chains, adjusting brakes, and tightening loose bike parts. The broken seat was replaced. A future Kickcapoo Trail bike ride is being planned with students from the club to give them the opportunity to learn how to reach the trail and to enjoy the amenities and fun of trail riding. The first class was held at The Bike Project and led by Phil Graff. Students assisted with the assembly of their new bicycles and learned some basic bicycle maintenance skills. The class also included helmet fitting and discussion on the benefits of wearing a helmet. The second class met at the Lake House at Crystal Lake Park. 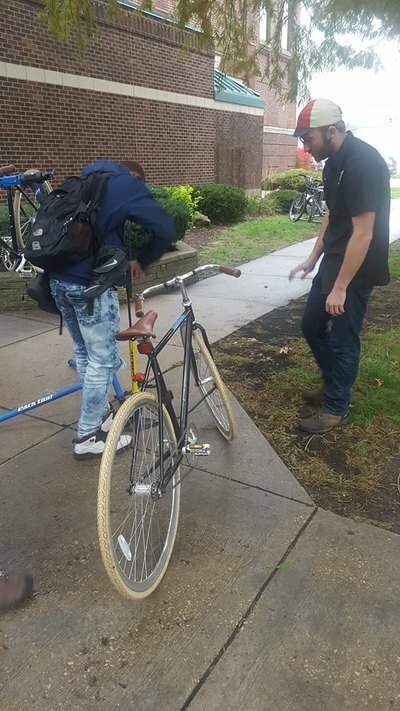 The Urbana Park District provided indoor space for instruction and closed the adjacent parking lot to be used to teach the needed bicycle safety skills in a bicycle rodeo. Students learned basic bicycle skills as outlined in the graphic below. Students also practiced using their skills on short rides through the park using the park district’s low speed roads. On the third day, the class met at the Lake House as the departure point for the on-street ride. 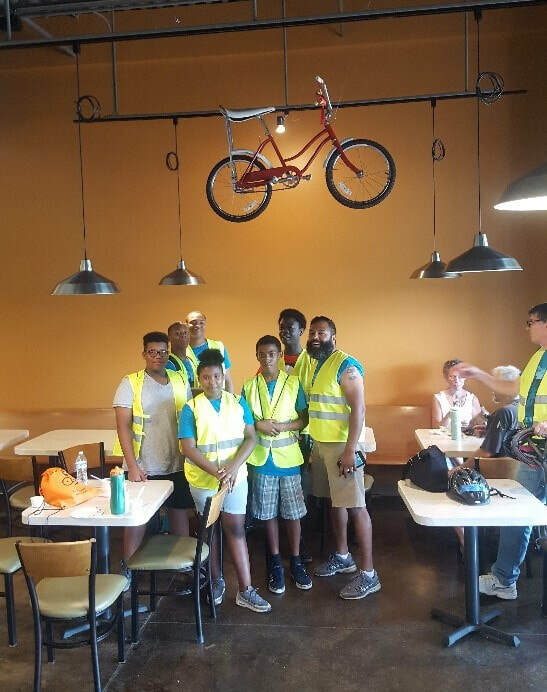 All the students bicycled from Crystal Lake Park to southeast Urbana where a refreshment stop included a visit to Red Bicycle Ice Cream shop. 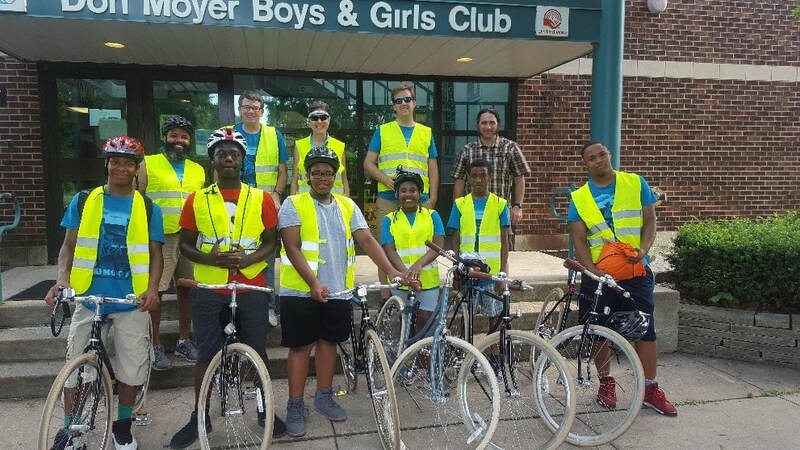 The class then bicycled from SE Urbana through the U of I Campus and back to the Don Moyer Boys & Girls Club where each student was presented with a certificate of completion, their own bicycle, lock, helmet, and bike lights. 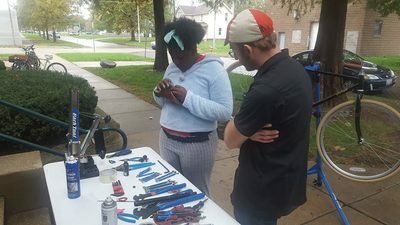 ​Let’s Get Rolling Earn-a-Bike Program is a cooperative effort of Champaign County Bikes, C-U SRTS Project, C-U Mass Transit District and Don Moyer Boys and Girls Club. It is made possible with financial support from Champaign County Bikes who raised funds purchasing 15 bikes to be used in this program. Thanks our six League Cycling Instructors assisted in the courses: Cynthia Hoyle, Kevin Garcia, Marcus Ricci, Jeff Yockey, and Phil Graff. Thanks our volunteers Ben LeRoy and Aaron Hoyle-Katz for offering additional assistance.